Back at the end of February, IBM announced an upcoming beta version of MobileFirst Platform Foundation version 8.0. Well, guess what? … As of last week, it is now available! What is IBM MobileFirst Platform Foundation? IBM MobileFirst Platform Foundation is an open, comprehensive platform to develop, test, secure, and manage mobile apps. MobileFirst Platform Foundation provides a middleware solution and SDK that makes exposing data to mobile apps easier, improves security through encryption, authentication and handshaking to guarantee app authenticity, provides facilities to easily manage multiple versions of an app, notify and engage users, and, on top of everything else, provides operational analytics so that you can monitor the health of your overall system at any point in time. As a mobile developer catering to the enterprise, it makes your life significantly easier, and it supports any mobile development paradigm that you might want to target: Native platforms, hybrid Xamarin using C#, and hybrid Cordova platforms (HTML/JS). What’s new in the IBM MobileFirst Platform Foundation 8.0 Beta? The recently opened beta has some great new features, AND it’s now available as a service on Bluemix (IBM’s Cloud platform). The beta program is intended to deliver the next generation of an open, integrated and comprehensive mobile app development platform redesigned for cloud agility, speed, and productivity, that enables enterprises to accelerate delivery of their mobile strategy. This is a great opportunity to to explore new features, and drive business value. We also want your feedback to make sure the MobileFirst Platform has what you need. 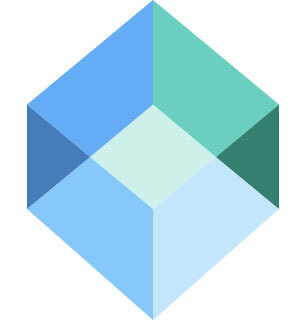 You can start using the Mobile Foundation service on Bluemix today, or join the Beta, and tell us what you think. To join the Beta program, just head over to the MobileFirst Platform Beta home page, scroll down to the “Interested in the Beta Program?” heading, and follow the instructions to sign up. You can also join the Slack community (channel: #MFPF8_beta) to engage directly with IBM.